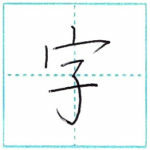 Japan has a custom to express every year with 12 animals. 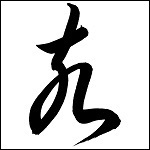 This is called “juu ni shi (= twelve zodiac signs)” in Japanese, which is originally Chinese culture. 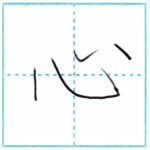 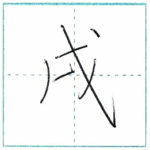 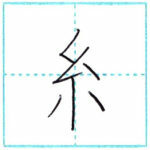 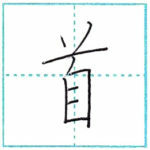 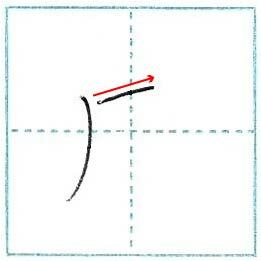 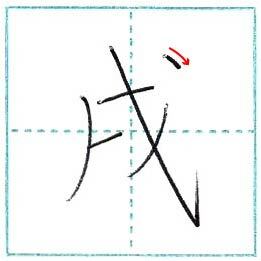 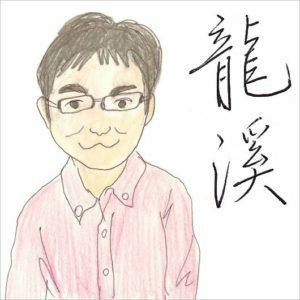 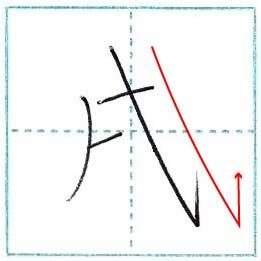 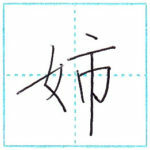 I introduce how to write this 戌(inu) for 3 days from today. 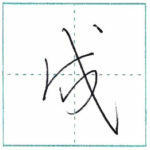 This time is 「戌(jutsu, inu)」 in regular script. 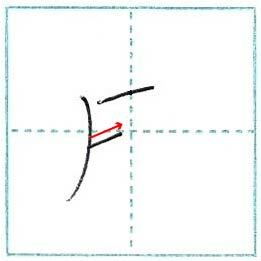 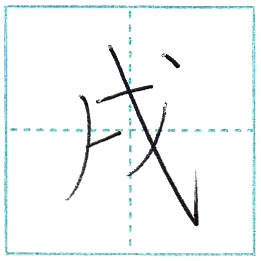 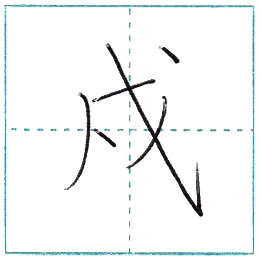 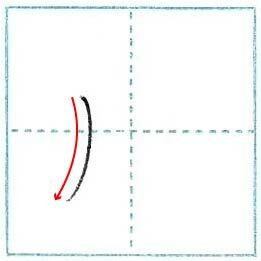 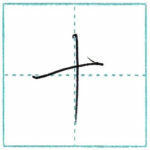 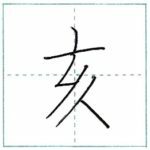 If this third line is not the horizontal line but the short point like below, it becomes a completely different character 戍(ju, mamo-ru), though the shape is so similar.